Precharged batteries are low self discharge (LSD) rechargeables. Normal rechargeable batteries lose approximately 15% of the stored energy in just one week. Precharged batteries still contain 85% of their initial stored energy after one year. 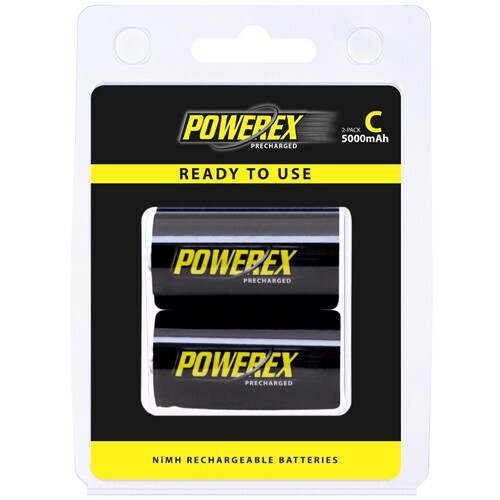 Precharged C-sized batteries have a typical capacity of 5000 mAh and a minimum capacity of 4200 mAh.